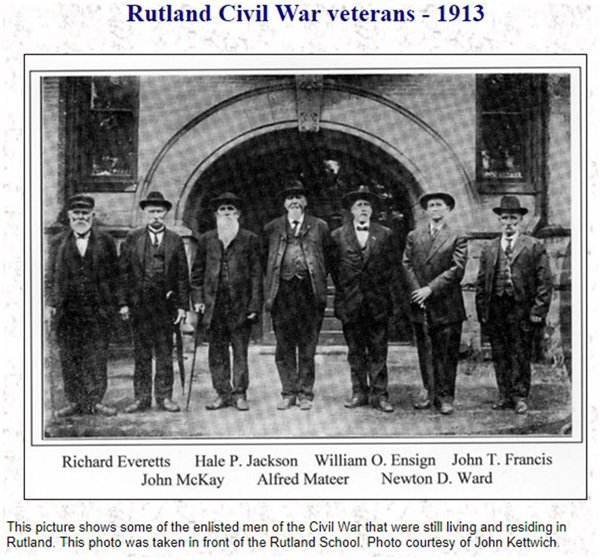 Duane Knepp of Rutland sends us information about John McKay of Rutland, who was his wife's (Kathy Knepp) great grandfather. Mr. McKay died October 11, 1940, 2 days after his 95th birthday. Mr. Knepp explained that Mr. McKay's name was misspelled in the article (MacKay). The interesting thing is the family legend said that he had enlisted in the Union Army using an alias. Mr. Knepp was able to find a photo of him, with that alias written on the back. 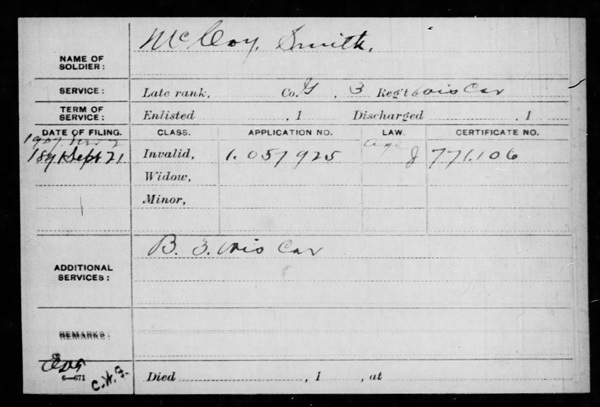 He enlisted in the 3rd Wisconsin Cavalry under an alias, C. Smith McCoy. Mr. McKay's obituary in the Minonk News-Dispatch can be viewed at this link. Above is the document that showed that John McKay enlisted in the Union Army under the alias of C. Smith McCoy.